The Musings of a Book Addict: I Want to Know My Future – Linda Dipman. 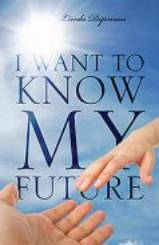 I Want to Know My Future – Linda Dipman. I will state from the very beginning that I felt disappointment. The disappointment was not in the writing style or anything other than I felt the author was afraid to be up front with potential readers about the topic of her story. No matter what my personal Christian beliefs are about homosexuality I will say this. No one should be discriminated against because of sexual orientation, race or religion. That being said, this is the story of two mothers who are divorcing their husbands for issues within their marriage. They then form a bond that brings them together into a relationship. Elizabeth's ex-husband, friends and church don't approve. They go beyond voicing their disapproval, they set out to defame and ruin her based only on her choice of lover. The court system sided with the ex-husband for many diffferent reasons. The book was well written telling a heart-wrenching story with a fairly happpy ending. Would I have picked this book up knowing it was about a woman fighting to keep her children who have been removed from her because of her sexual orientation? Probably not. I usually don't read books about homosexuality. As a reader and reviewer I don't have to agree with religious or philisophical beliefs of the author. Based on the story line alone this was a good book. I read it straight through.